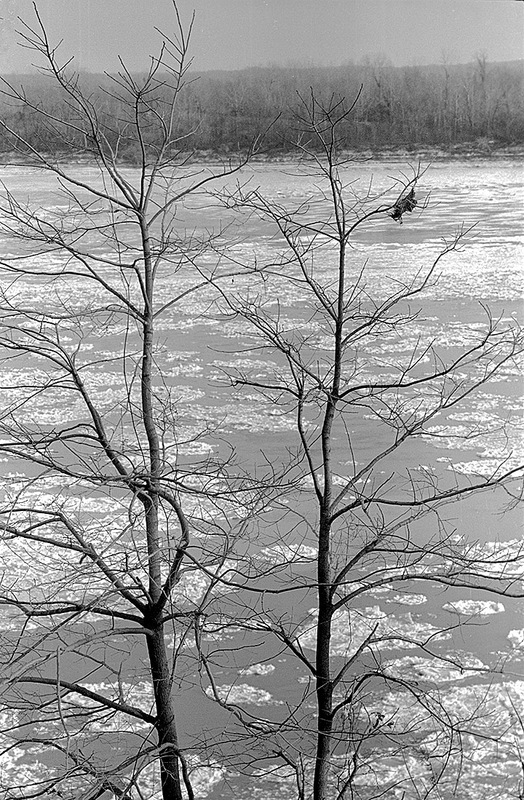 The Mississippi River never iced over enough for me to shoot people and cars crossing over to Illinois, but I have taken pictures of floating ice before. These photos were taken in the mid-1960s. Fred Lynch posted a Frony photo from 1936 showing people and a bike on the river, but he said it didn’t run, possibly because the paper didn’t want to encourage such behavior. The ice floes were a little thicker when I shot the river in 2000. 2. Dumb and 3. drunk. My luck I would find the one spot not frozen. Besides, threre is a great bridge, why risk a ice break and your car. My grandfather who was born in 1888, told stories of people crossing the river on ice with wagons and horses before the old bridge was built. One must remember that it was a different river before it was channelized for safer shipping by the Corp of Engineers. The slower river formed a smoother ice surface and would have been easier to cross. In the 1970s, I remember driving down Highway 3 to see a thirty mile ice jam on the Mississippi. There were mountains of ice jammed together and would have been dangerous to cross if not impossible. You certainly couldn’t drive a vehicle across. It would take a crazy mountaineer to even attempt it! 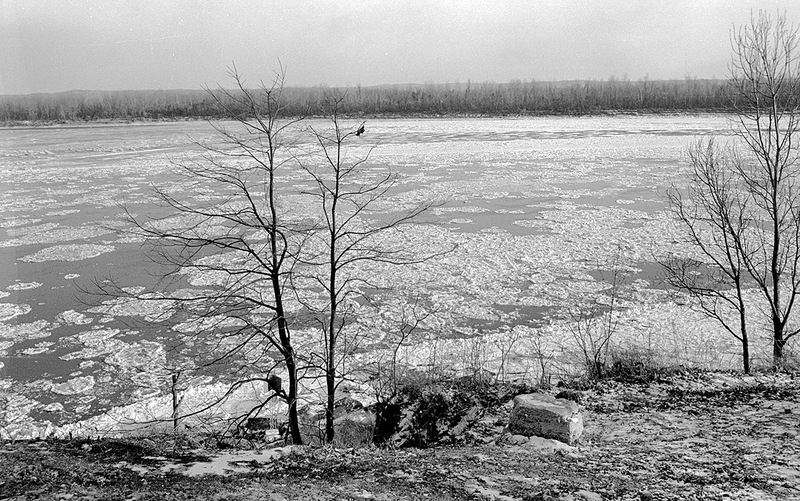 My mother(born in 1924)used to talk about the Mississippi freezing over in the 1930s. People walked across and some cars went on the ice, but she didn’t think they actually drove across. Her family let the kids walk out a little bit on the ice just for the fun. I have a story from the SEMissourian in the 1930s about a cow that crossed the Mississippi and ended up at Jerry’s family’s house on South Benton (long before Jerry’s time). I’ll see if I can find it for you. Our dad, now 91, walked across the river back in the ’30’s when it was frozen. This comes as no surprise when one considers he was a member of the infamous Themis Street Gang. An old friend of mine, Clyde Glastetter led a group of his mountaineering friends on a hike across the frozen Mississippi in 1977. 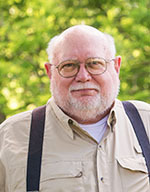 At the time Clyde owned a business located on Broadway called Ozark Outdoor Equipment selling high end hiking, climbing and camping gear. A mini REI back in the 70’s if you will. He has some great pictures and stories of the crossing but I will let him share those with you if he wishes. 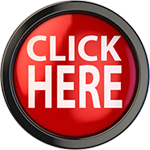 I sent Clyde the link to your blog and will suggest he contact you. Thanks. I’d love to see them.